We truly believe that a pressure washing service can do what a thousand people with mops and brooms just won’t be able to do! We are exaggerating a bit with the numbers, but the fact of the matter is the level of true cleaning that you can get out of a pressure washing service is extraordinary! 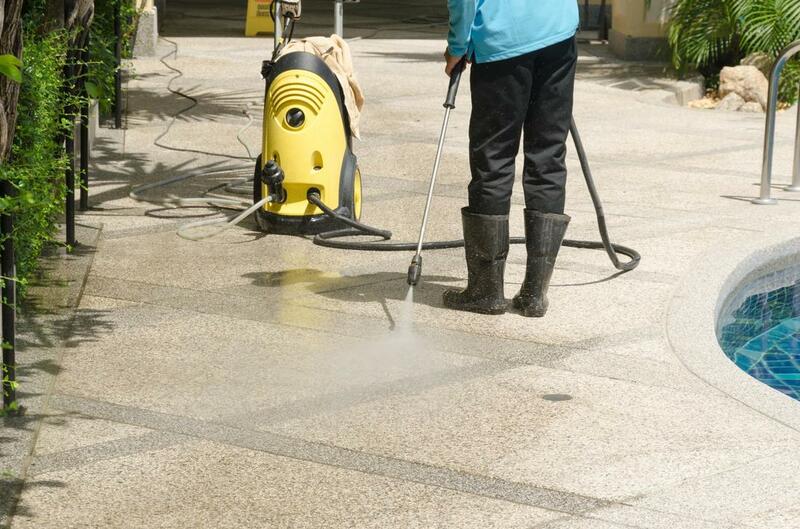 Junk that has built up on the cracks between the floor that you may have literally just given up on can be removed with a pressure washing service. We can help clean up driveways, floors, and even gates and fences among other things. A lot of people really don’t worry too much about their driveways until they are literally looking extremely dark. We can come in and help the driveway recover its natural color. Obviously, we can remove all of the skid marks that may have been made over the years. We will also remove a lot of those leaves and junk that had just stayed in between the cracks for years. Most of the people who order this service for the first time have a real tough time believing the results! Then they wonder how they could have ever gone on with such a dirty driveway! A lot of the same concepts that we talked about in driveways also apply to floors. The main difference is that floors are in places that you may even step on barefoot. That means that a lot of the germs that you pick up when you don’t wash them thoroughly will end up in other areas of your home. Again the water pressure is so strong that it is able to remove 99.9% of the dust particles that have built up in your floors! Does that sound like a service you would need every now and then? Fences and gates are structures that have to stand up to the elements day in and day out. It is only natural that they will be places where a lot of dirt and garbage builds up. Again it may be easy to overlook the fact that they look dirty when you haven’t seen what a newly cleaned fence looks like! Our services can actually be performed pretty quickly. If you are having a hard time believing what we are saying maybe you should give us a try! One of the worst feelings in the world is to wake up to a newly painted graffiti on your property. It is one of the worst looks for a home or business. Plus, if you leave it on too long it actually may speak badly about the care that you have for your home or business. We can come in and wash off most graffiti out there. Even when we can’t completely wash them out we can paint over them as well. So you can rest assured that we will find a way to have that graffiti fully removed!